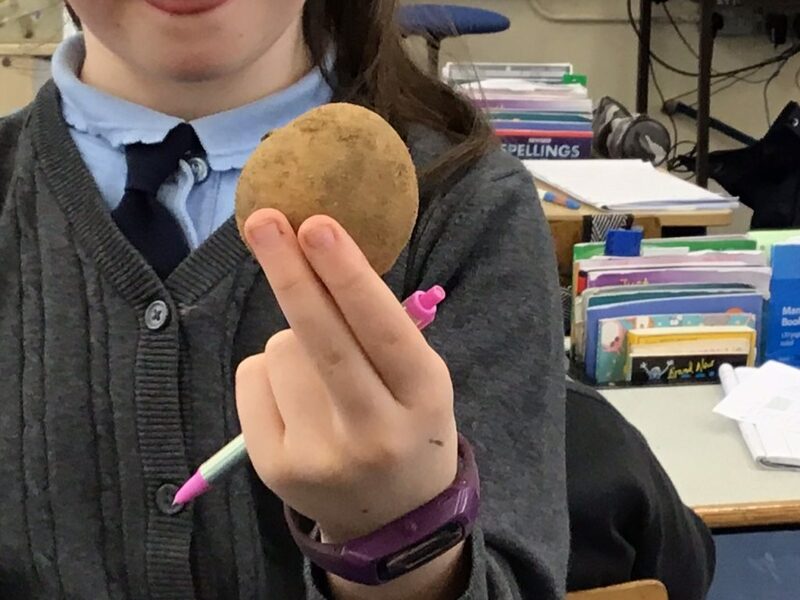 Third/Fourth Class are continuing their investigation of potatoes ahead of the ESB Science Blast in Mary Immaculate College next month. 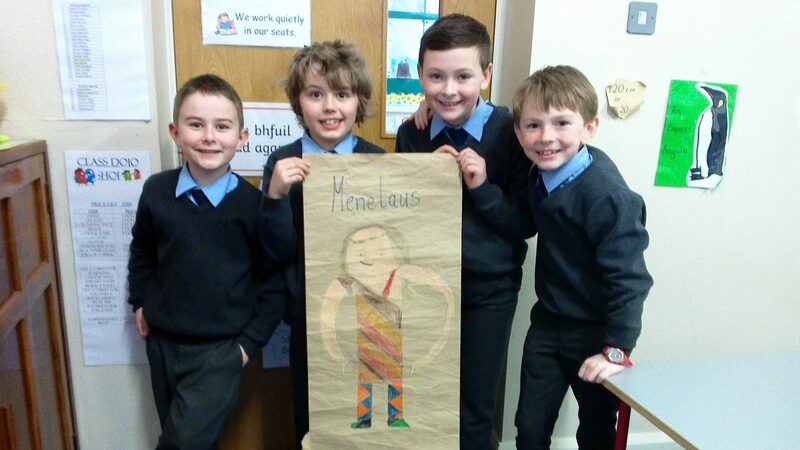 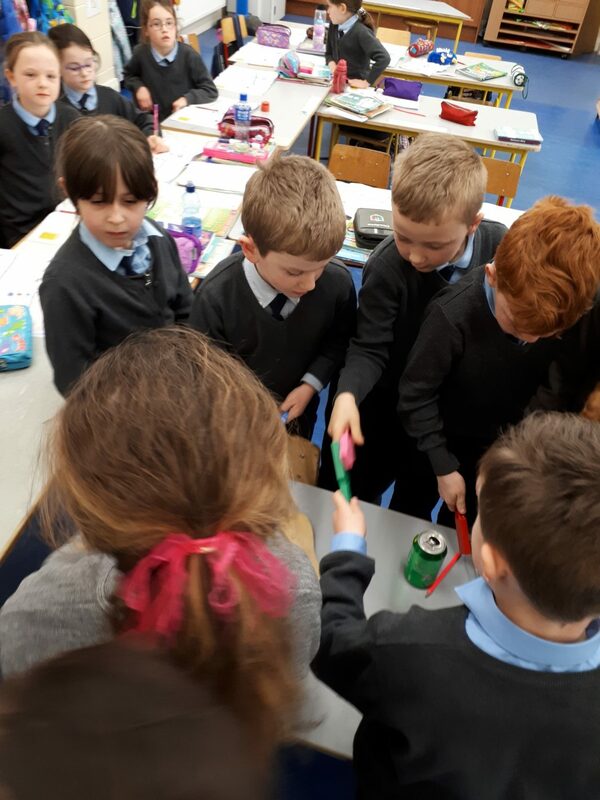 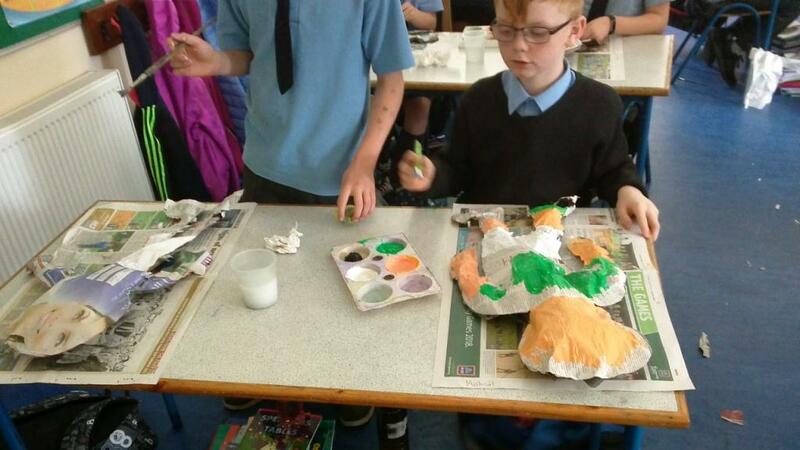 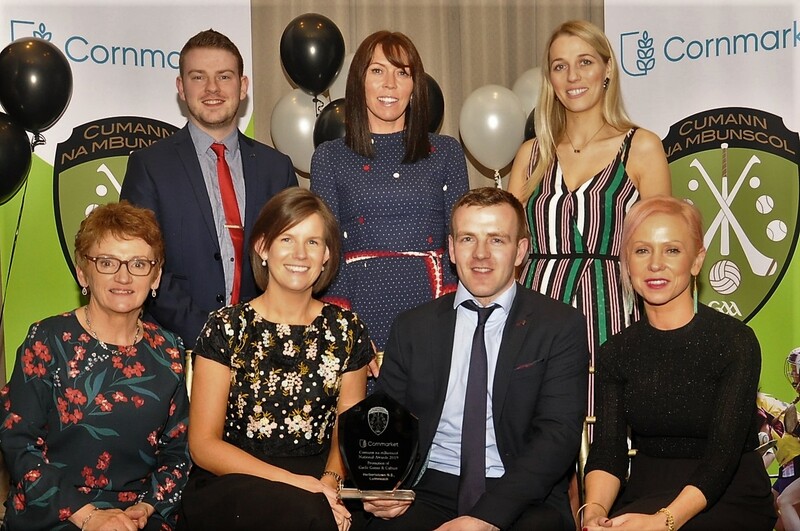 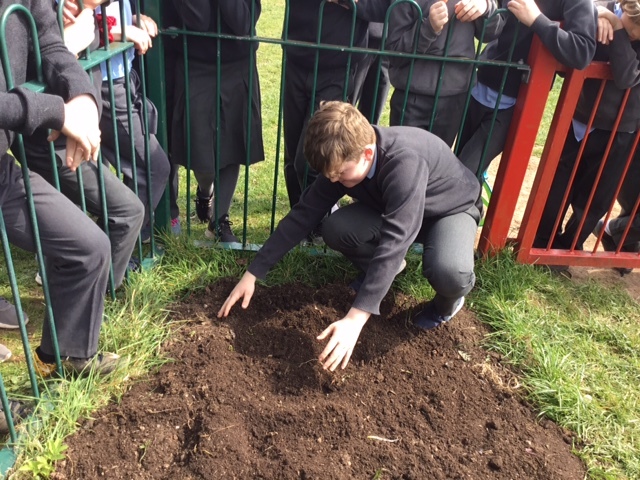 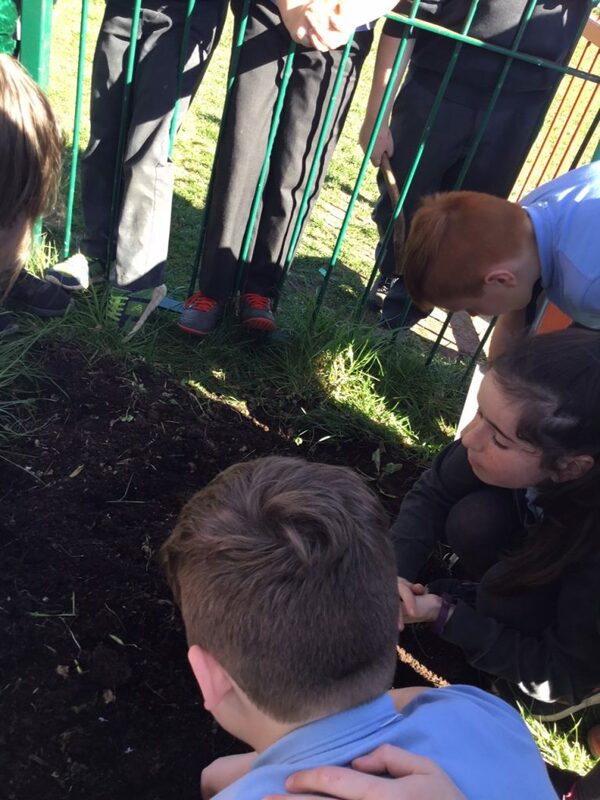 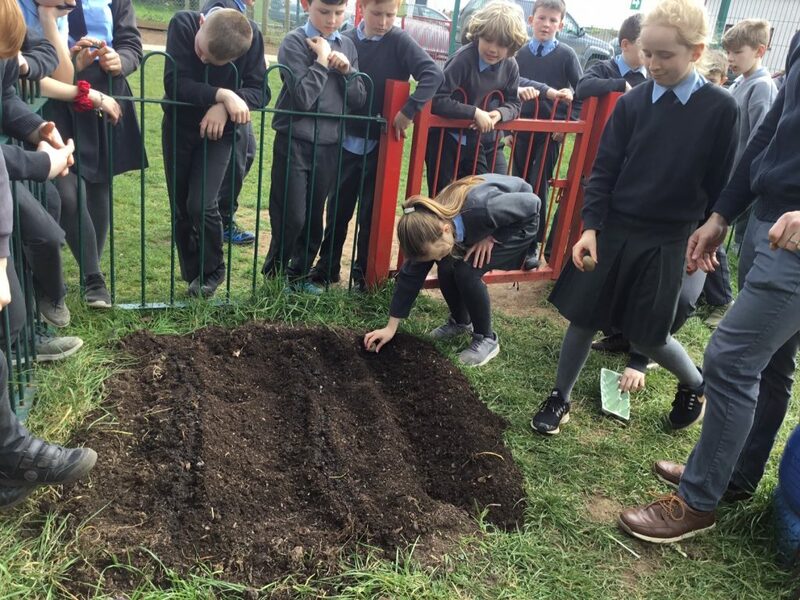 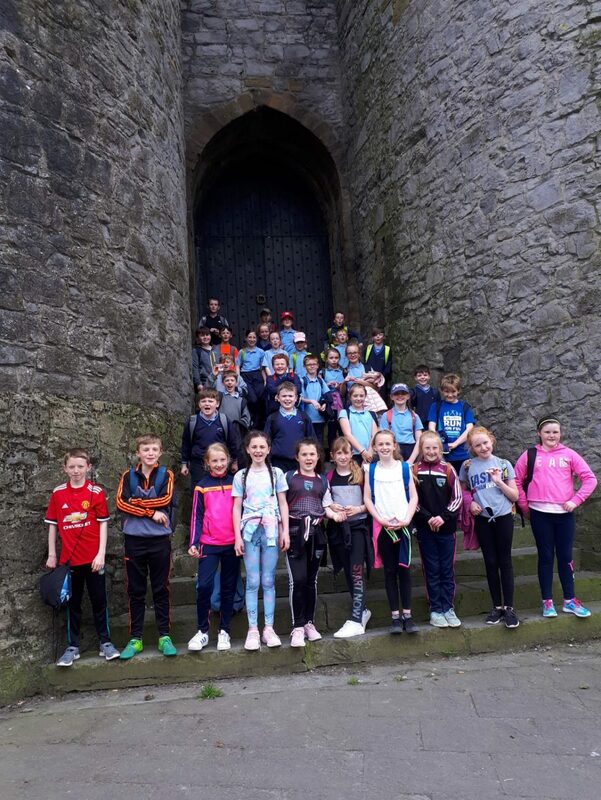 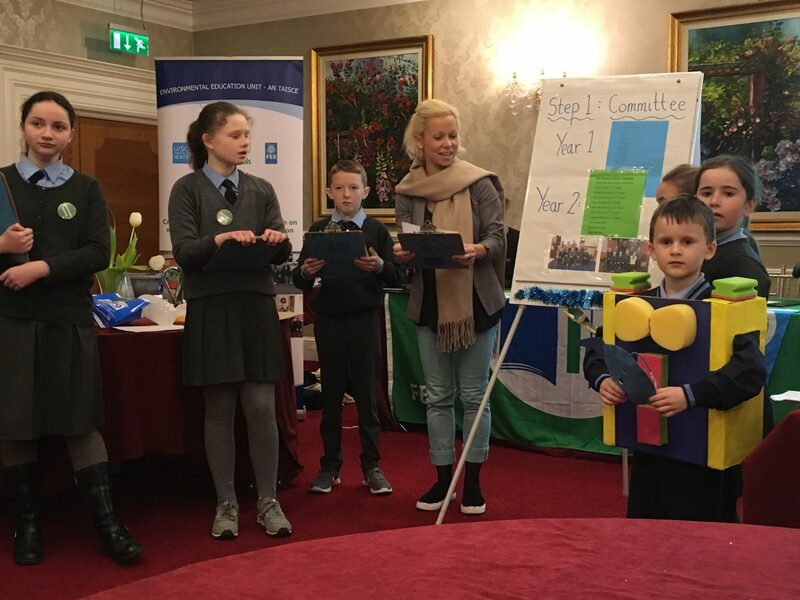 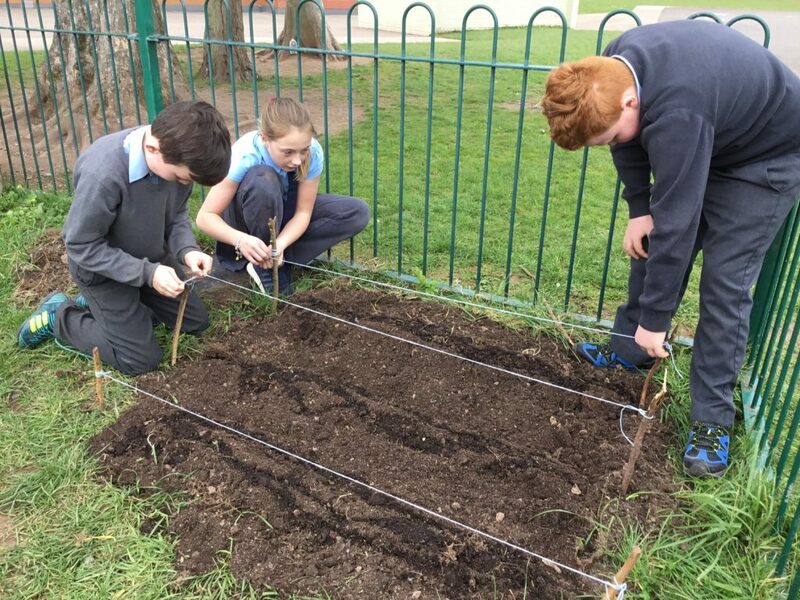 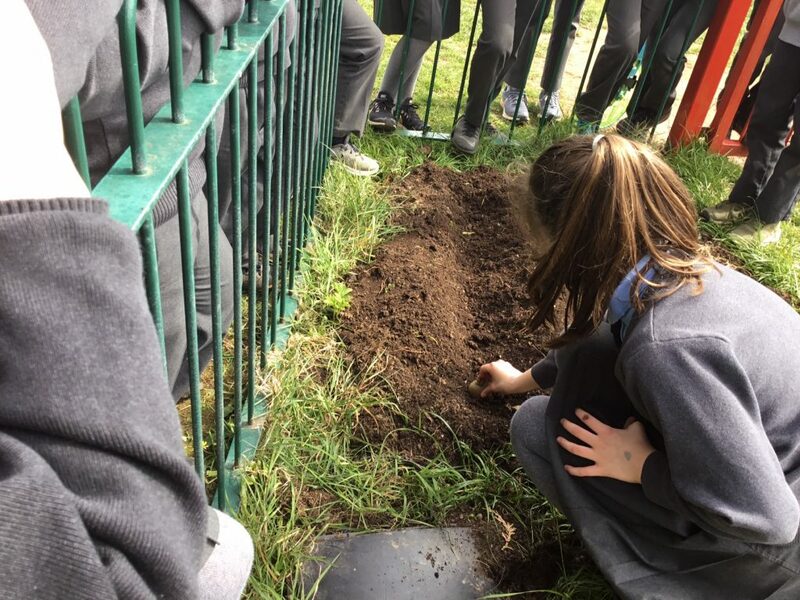 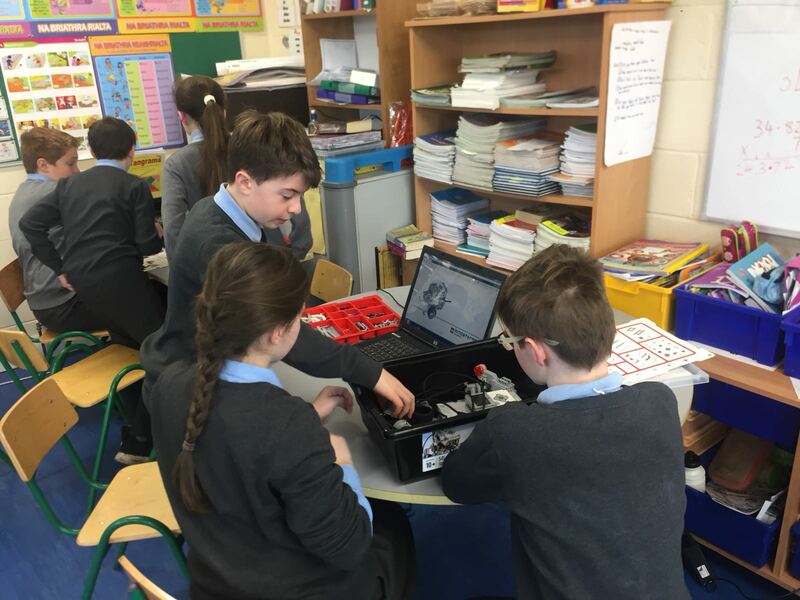 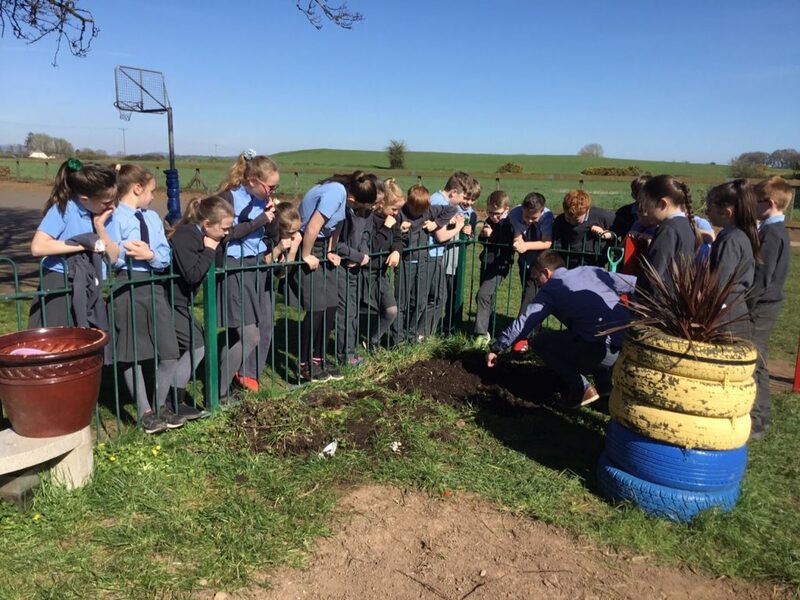 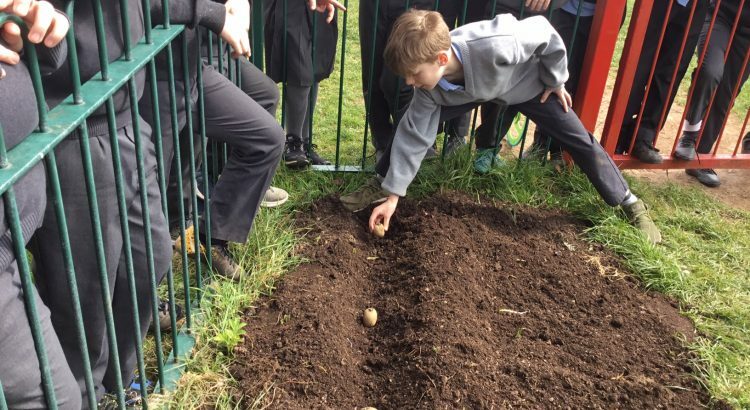 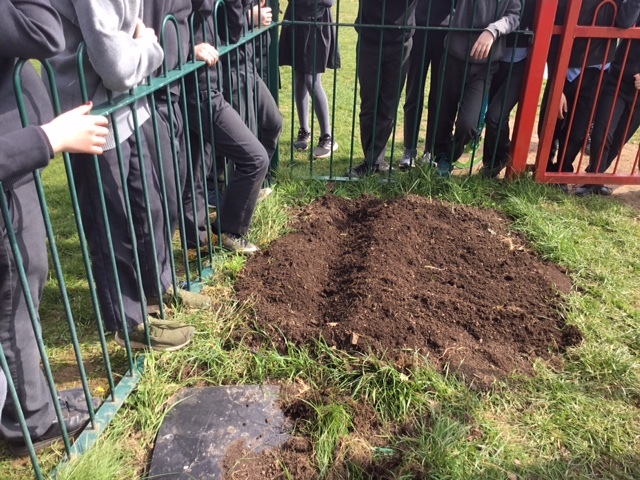 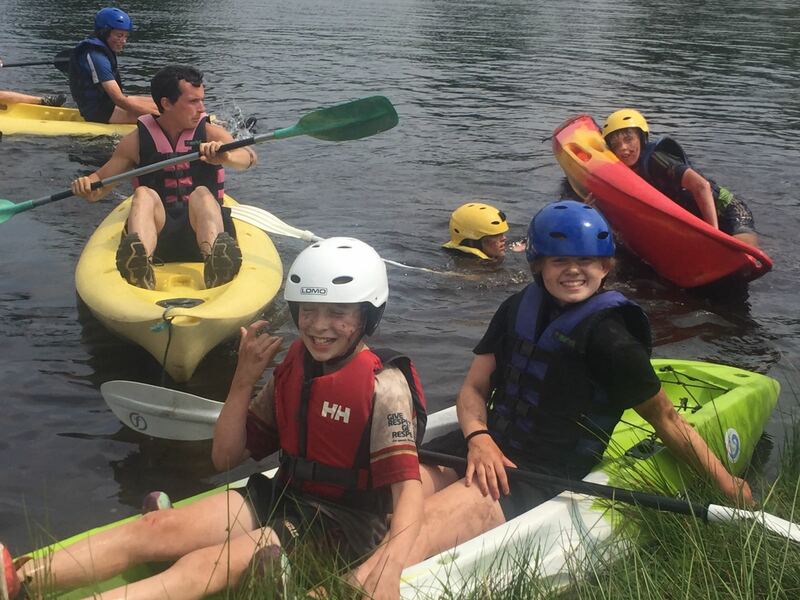 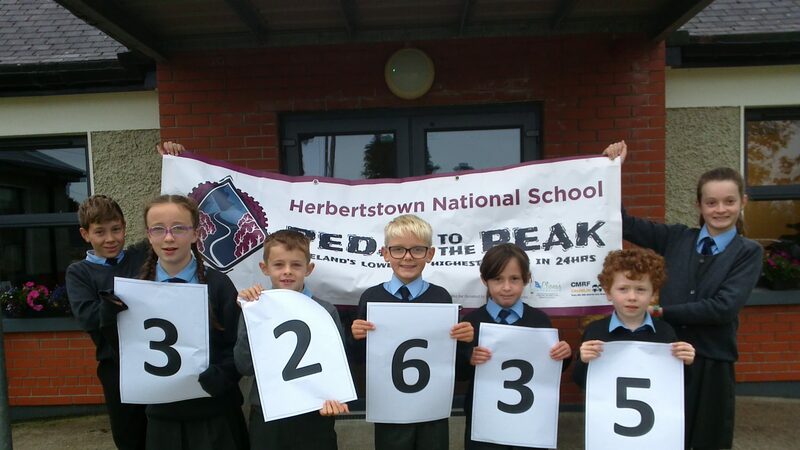 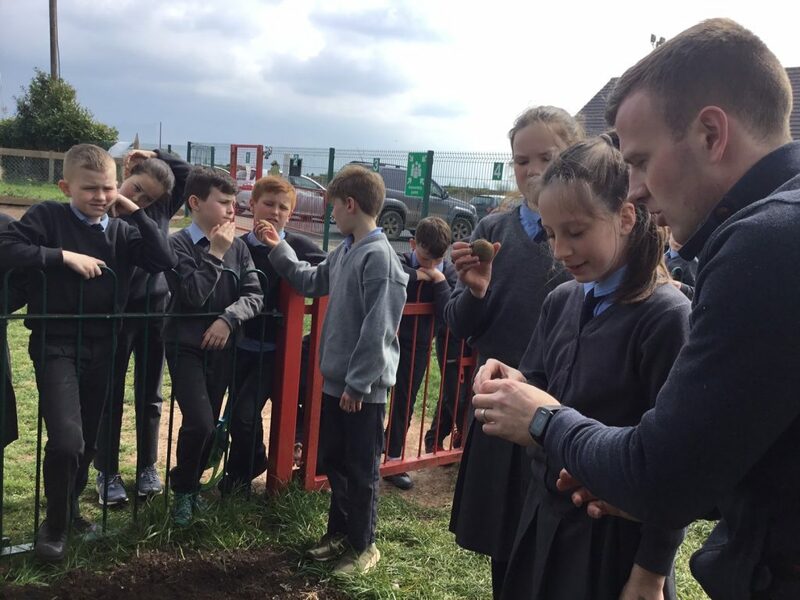 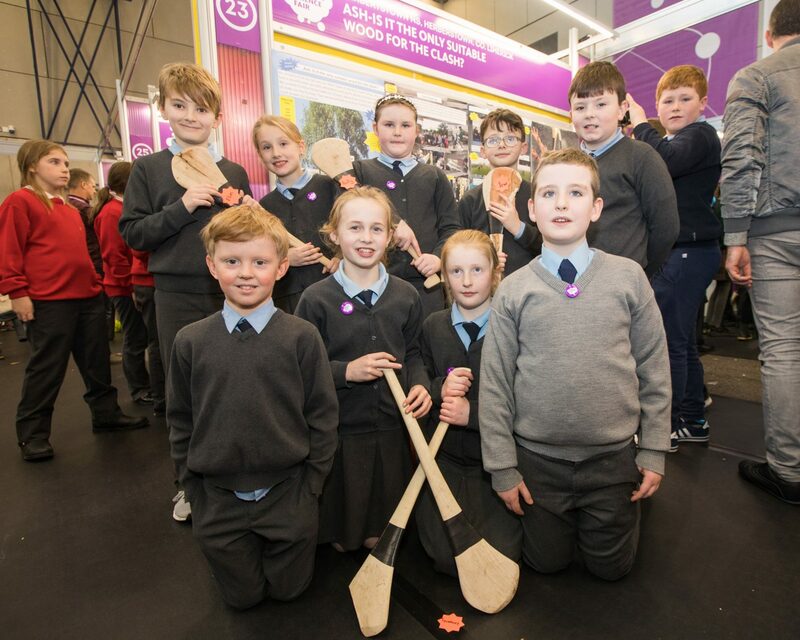 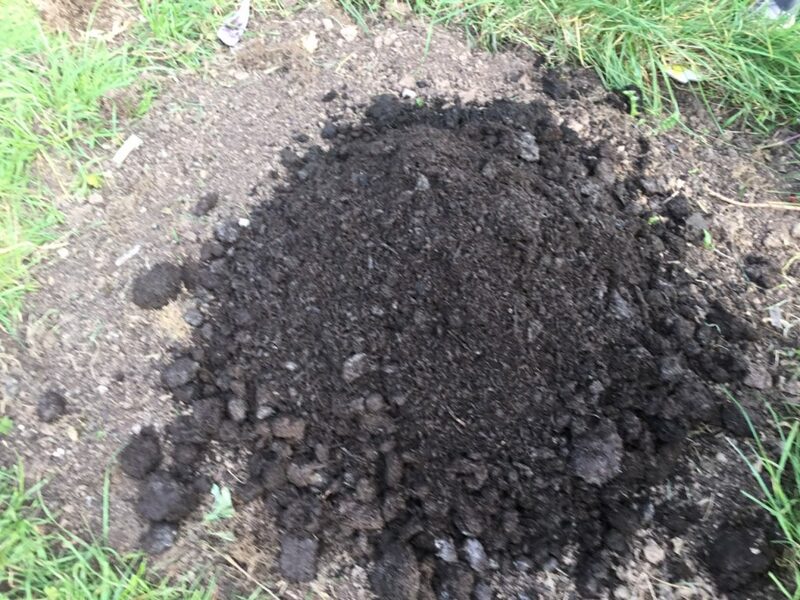 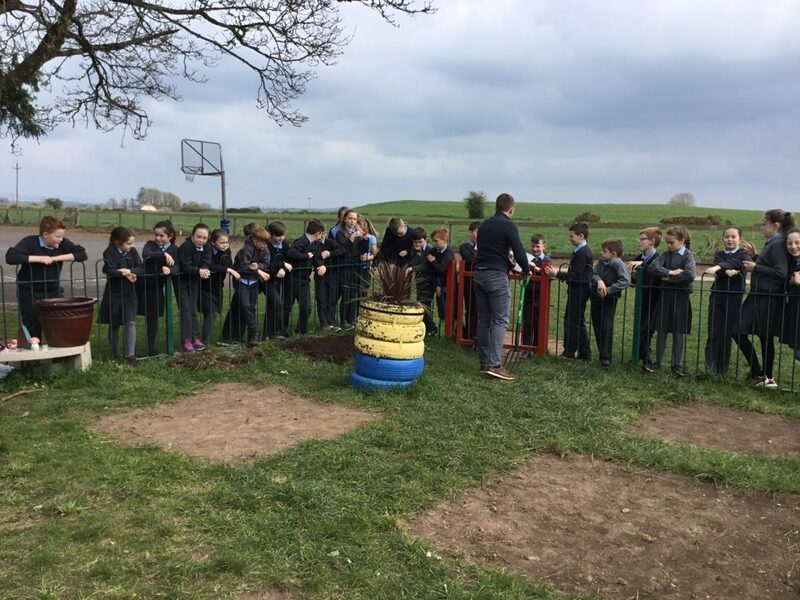 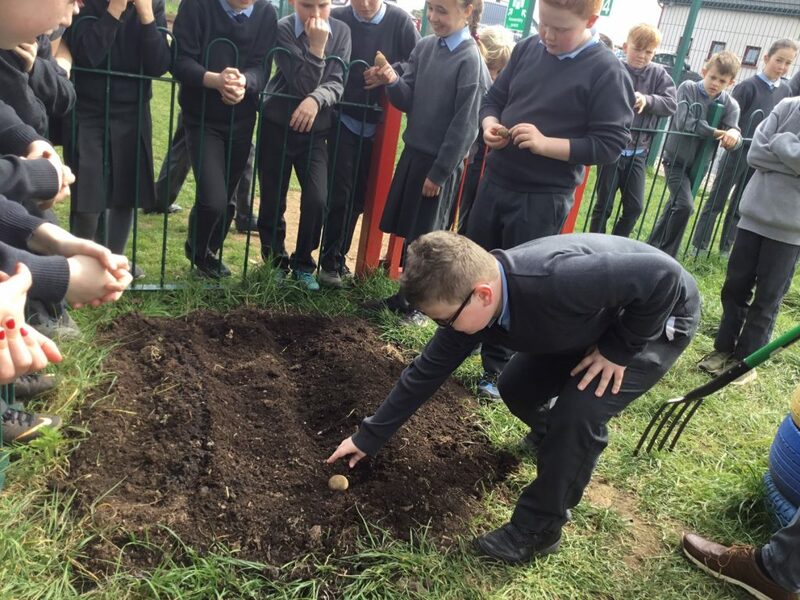 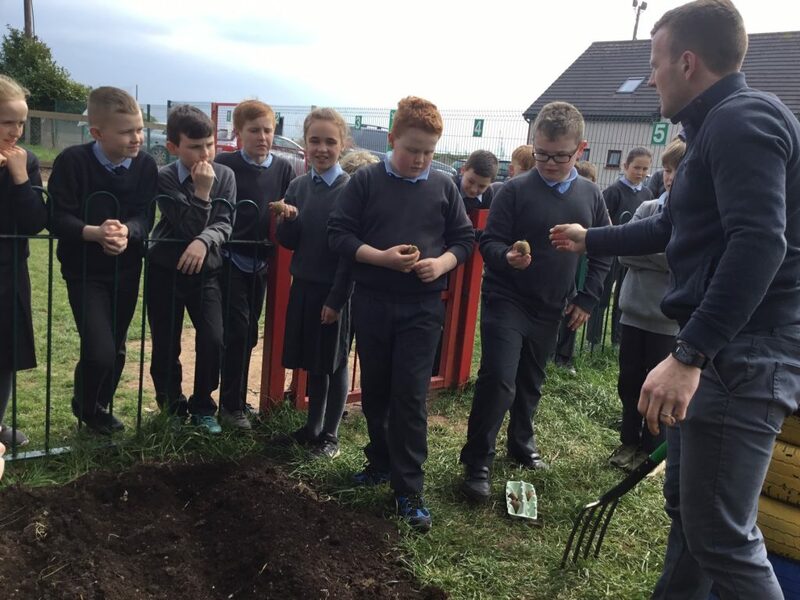 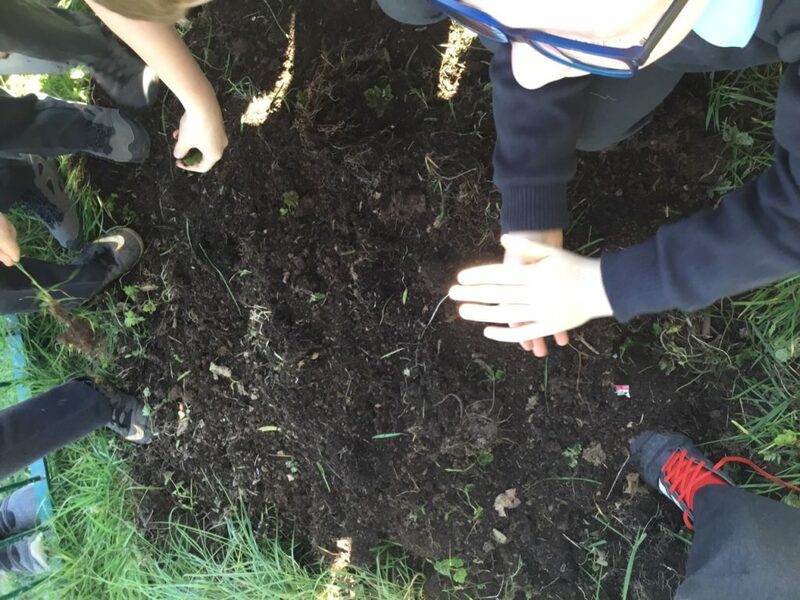 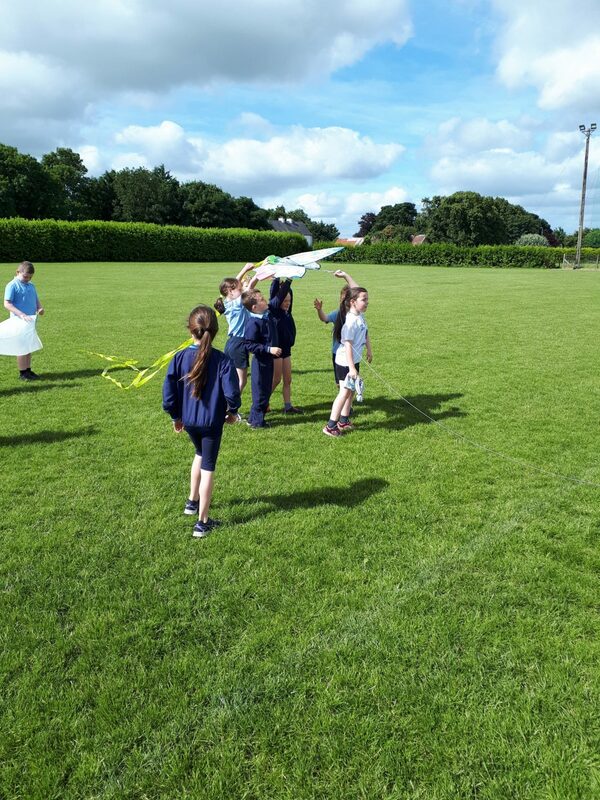 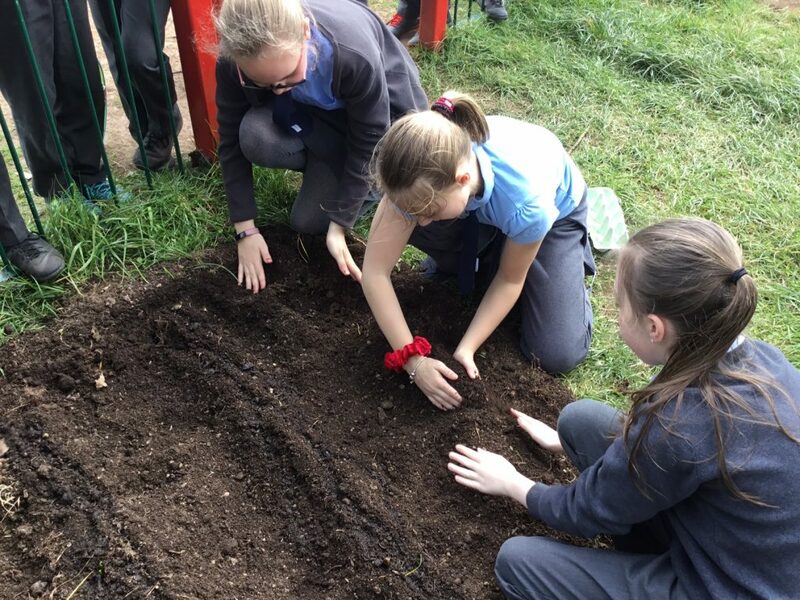 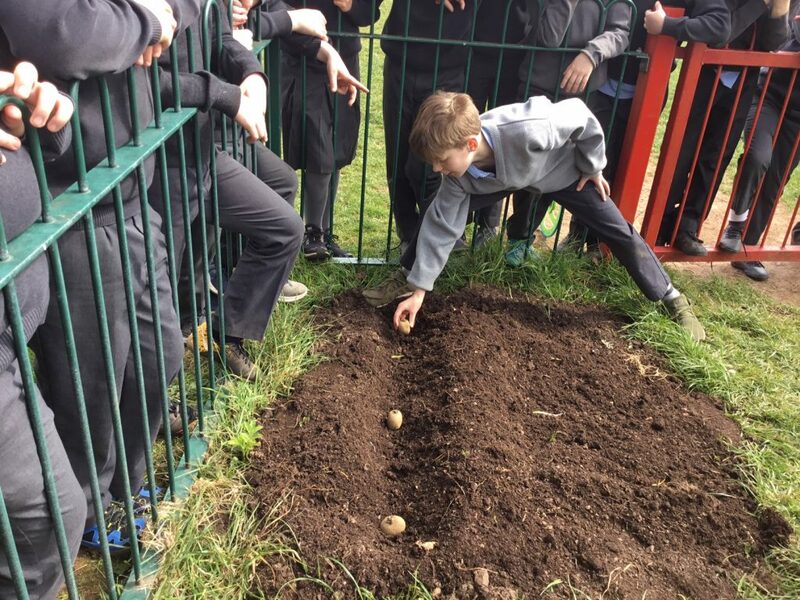 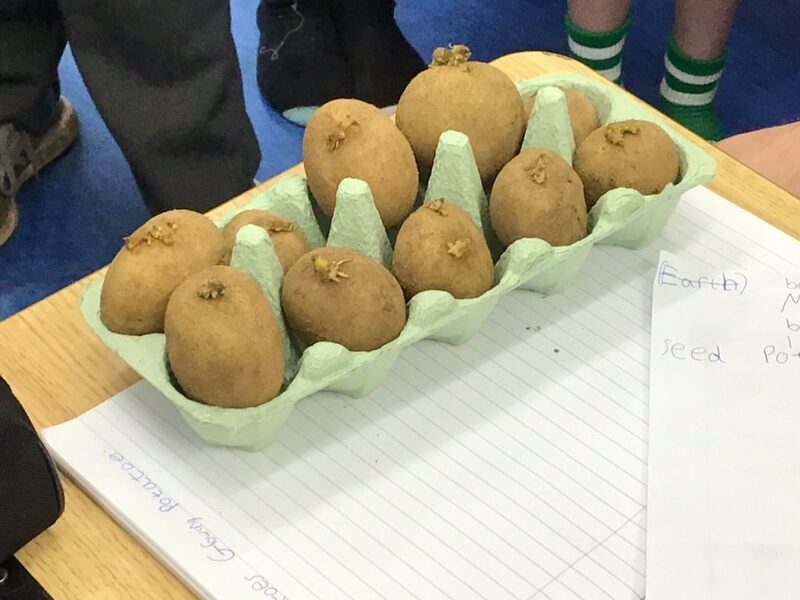 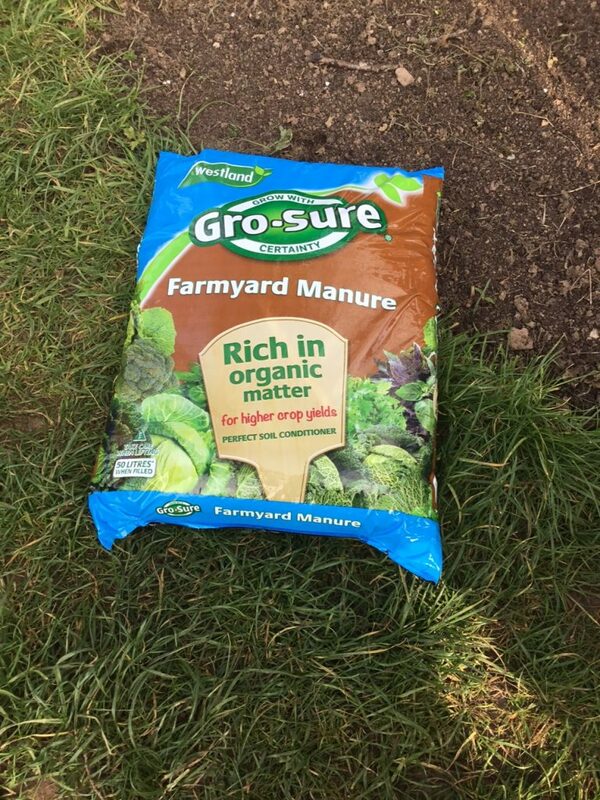 Fourth class will be exhibiting the results of their project into ‘Which Spud Cooks the Best’ at the ESB Science Blast in May but Third/Fourth class have extended this study to include growing some potatoes to help better understand how potatoes find their way to the dinner table. 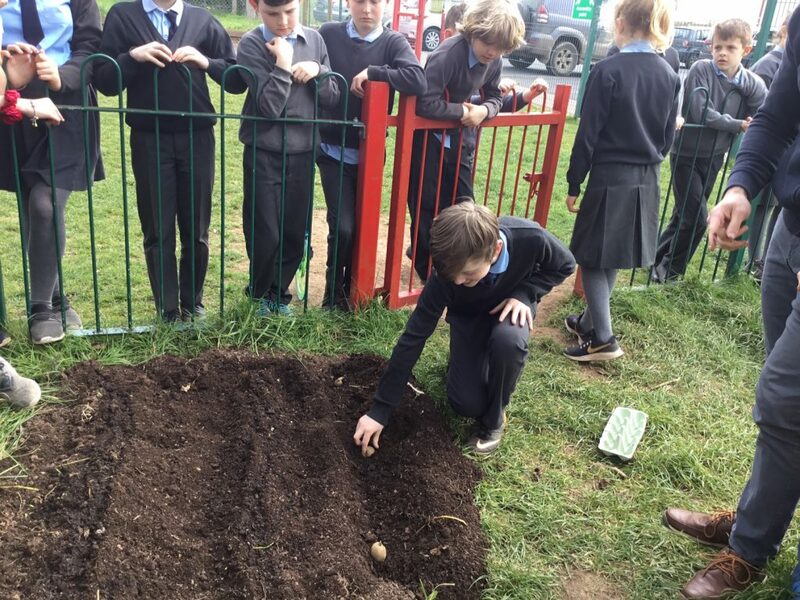 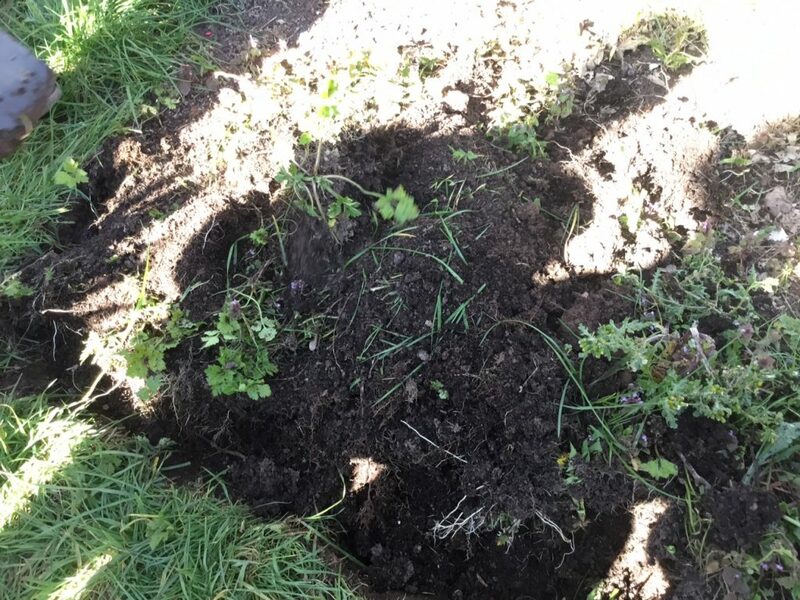 Today we planted 9 Maris Piper spuds in the garden. 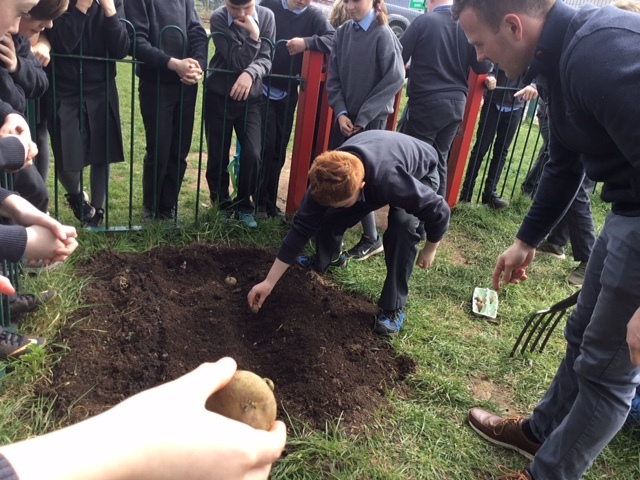 We made 3 drills of spuds, whcih were about 40 – 50cm apart. 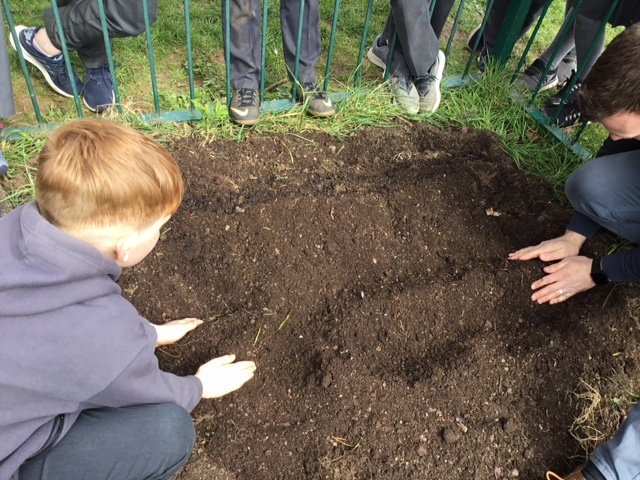 Then we watered all the drills and flattened the soil with the fork. 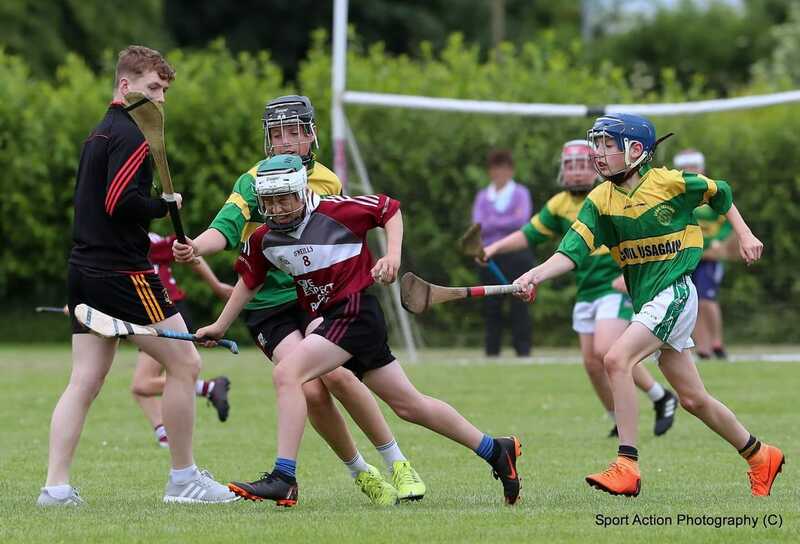 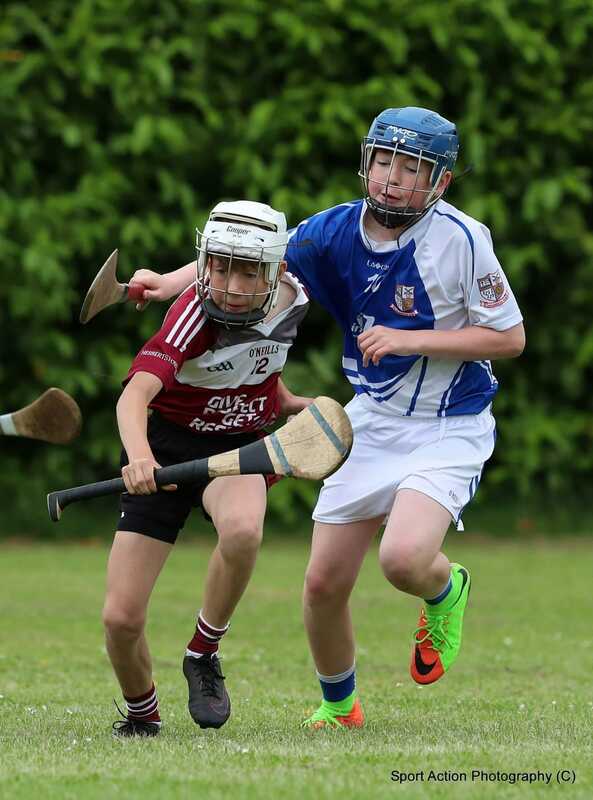 David Mul.